Oakland Comedy Dash - 2 nights, 6 shows, 30 comics, gazillion laughs! The inaugural OCD happens on May 17th & 18th. Three venues, dashing distance of each other in downtown Oakland, will present 15 of the the Bay Area’s best stand-up comics each night. At 7:30pm the three shows will kick off simultaneously. Upon finishing his/her set, the comedian will dash to the next venue, and then to the next until they will have performed at all three. The result will be that audiences at Spice Monkey, The Washington Inn, and Awaken Cafe will have been treated to three hours of the funniest material from the finest comics on both sides of the Bay. May 2019 also marks the 10 year anniversary of Samson Koletkar (World's only Indian Jewish Standup Comedian) running comedy shows in Oakland. Come celebrate this momentous occasion with him, co-creator Dan St Paul (VH1, MTV, Comedy Central) and co-presenters Oakland Central! 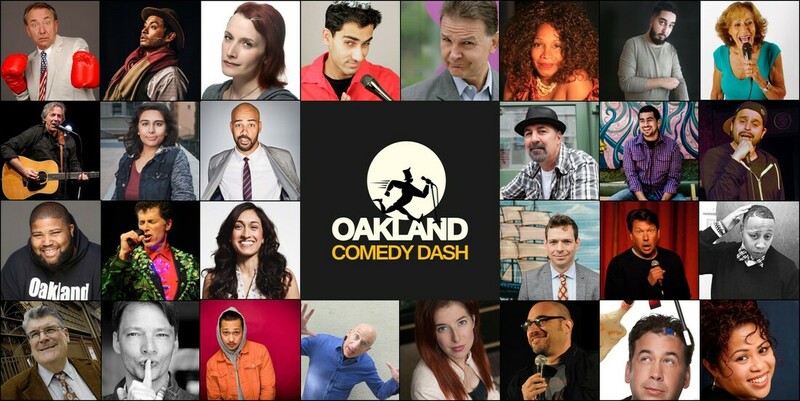 Oakland Comedy Dash - 2 nights, 6 shows, 30 comics, gazillion laughs!